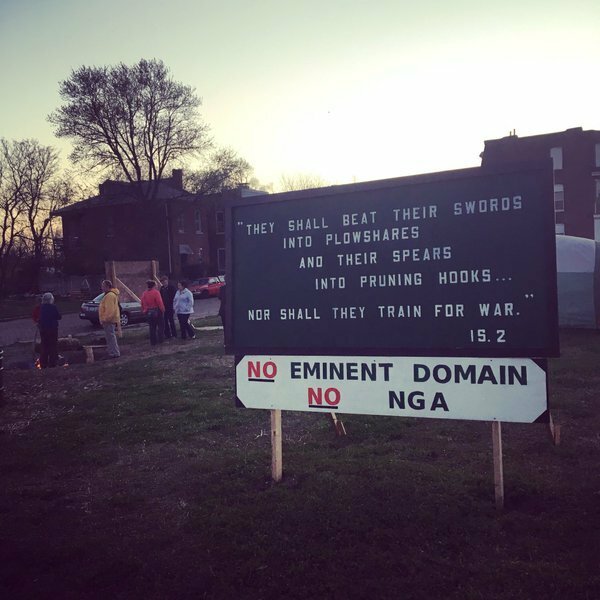 NGA: Good for St. Louis or destined to be unfulfilled renewal? With thousands of jobs at stake, a federal spy agency has been considering locations for relocating its local office complex. The top two candidates were a largely vacant area of north St. Louis City or a field near Scott Air Force Base in Illinois. Campaigning for the relocated campus culminated with the decision announcement: the agency prefers to move to the north city location. Its location carries with it the controversy of being in north St. Louis city.
.@NGA_GEOINT to move to North #StLouis. The cost: not just the #EminantDomainAbuse, but @STLMetro riders in North STL! SHAME ON @MayorSlay! The NGA will just be one more fortress campus in St. Louis. Another AG Edwards/Wells Fargo, another SLU. Reaction to NGA is fascinating. Joy, relief, anger, disgust. Comes down to state residence, urbanist leanings, & political allegiances. I'm not sure I would call the NGA a win as much as a great stick save...... Hopefully we can build on it and actually get some goals! Would it be appropriate to send the NGA director a basket of all stl beers @NGA_GEOINT ? NGA (then known as DMAAC) was the reason my family moved to St. Louis. Glad to see it is here to stay!